TIME TO GET OUT ON A PROPER OFF-ROAD ADVENTURE. Chomping at the bit to go out and use the skills and confidence you’ve built up on our courses? Then it’s time to get out on a proper off-road adventure. Brecon Beacons Adventure is the best way to apply all your hard-earned skills gained on our training courses. It’s the perfect way to use your knowledge while travelling across the beautiful terrain of the Brecon Beacons in Wales. Forget preparing a bike, planning routes and arranging accommodation – all you’ll need is your motorcycle license, an overnight bag and a hunger for great riding. 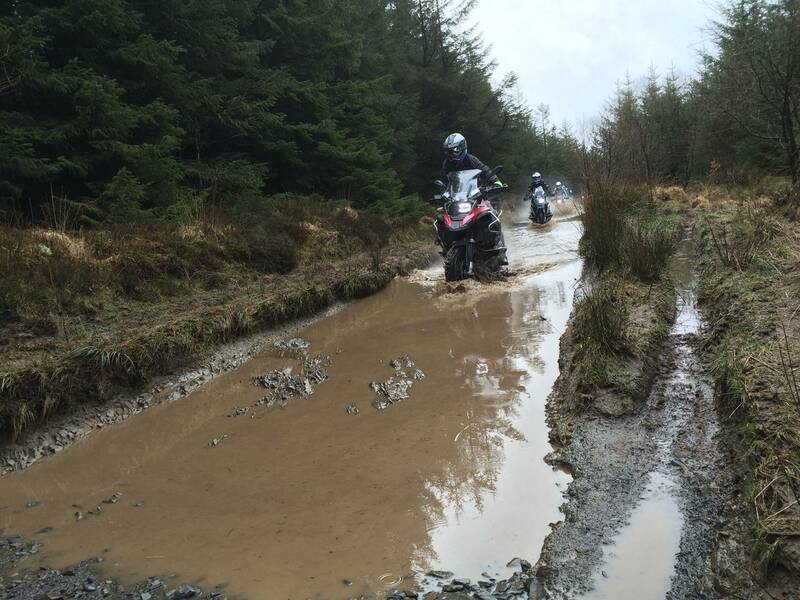 Starting at the BMW Off Road Skills HQ, you’ll ride one of our BMW GS adventure bikes north into the Brecon Beacons. Our route covers muddy lanes, open moorland, private forestry and a few off-road surprises for a non-stop (well, aside from lunch and refreshments) adventure. With exclusive forestry riding to finish the day, we head for a hearty meal and comfy bed, via a few stories in the bar. Fortified for day two, we return south, through the forest again and onto flowing lanes before the final stretch, swooping over the breath-taking open moorland and onto our favourite strip of tarmac; the Old Trecastle road. 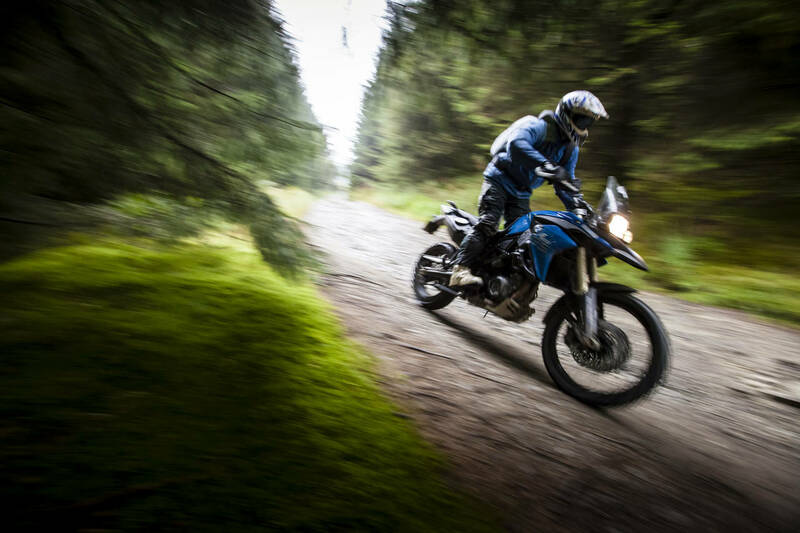 This trip is ideal for those who have confidently completed a BMW Off Road Skills Level One riding course, or have a similar level of experience, as some sections can be tricky for novices or nervous riders. UPDATE: so after enjoying the Level 1 course so much I booked onto the Brecon Beacons Adventure. Fantastic two days riding under the watchful eye of the ORS team. Highlight for me of the two days was the moorland crossing on the way home and the water crossings. 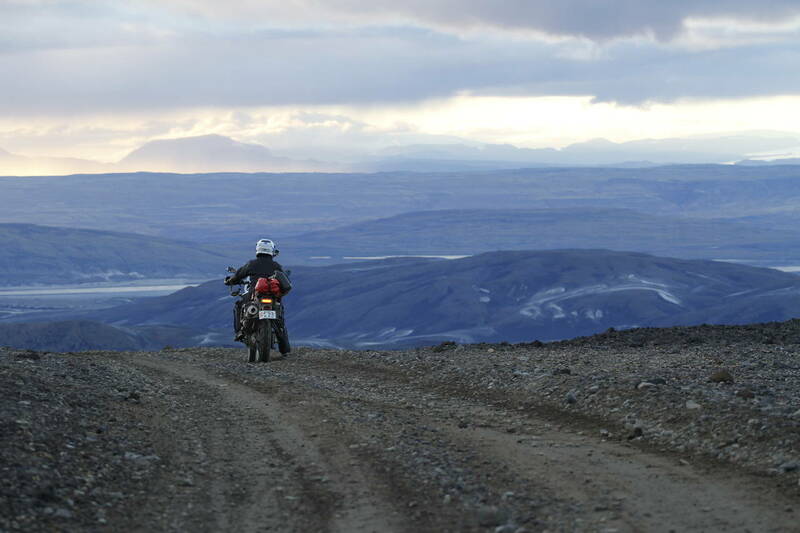 Some lovely road riding and plenty of challenges to keep you up on the pegs. 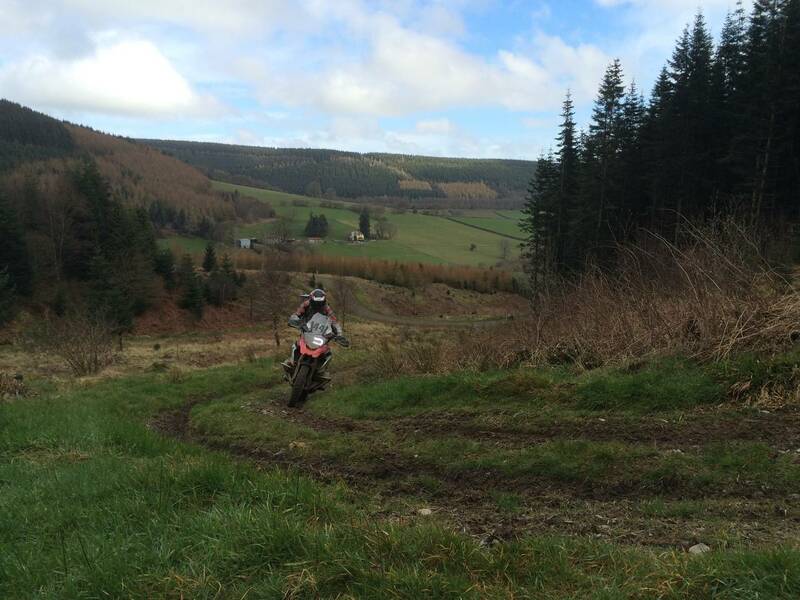 Ruts, water, mud, rocks, sheep and a river crossing with a twist (I wont spoil the surprise!) If you have done the Level one then this is a real chance to hone those skills, increase your confidence and have the most amazing two days on two wheels - or in my case a mix of two wheels and crash bars! Thanks again guys! See you next year for another dose! Just back from doing the Brecon Beacons Adventure. It was the best weekend on a bike I've had. This was my third time at ORS and each time I've said the same thing. The weather was shocking – torrential rain and howling wind both days – but this in no way spoiled the experience, I'd even say it enhanced it. Make sure you have decent waterproofs and the foul weather just adds to the drama and adventure. Whatever your current ability (you need to at least have done the level 1 course) you’ll have the very best time and learn more than you think possible. The instructors have amazing bike-skills and they’re also incredible teachers. They’re passionate about helping each rider improve and the skills and confidence you take away from this trip, or any of ORS courses, will benefit you every time you get on two wheels. 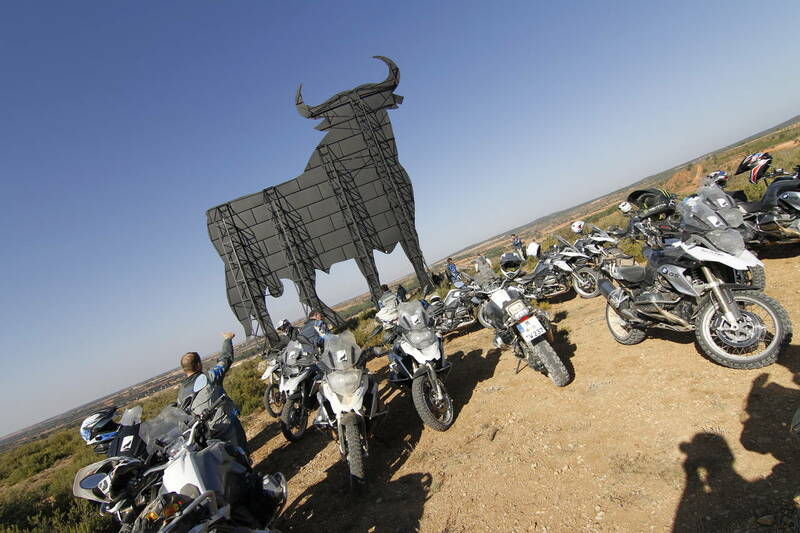 You’ll do things on a 1200GS that you won't believe you're capable of. 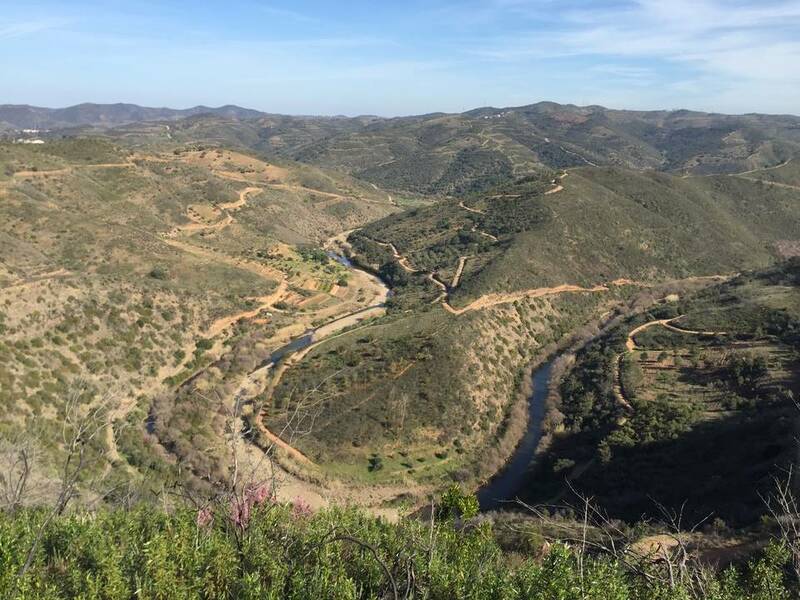 You'll ride it up and down rock strewn hills which you will struggle to walk on. You’ll ride through deep muddy 4x4 ruts. You'll cross streams. And you’ll ride through ditches of brown water where what’s on the bottom is a mystery. This might sound daunting but you will be amazed at what you'll be able to accomplish. If you’re up for being challenged you will be. Or if you want to calm it down you can do that too and chose a group riding a different route. I reckon it’s the best bang for your buck available. The grin will go ear to ear and last at least a month, or until you do it again - which you will. We arrived back at ORS HQ soaking wet at the end of day two and all I wanted to do was turn around and do it all again.